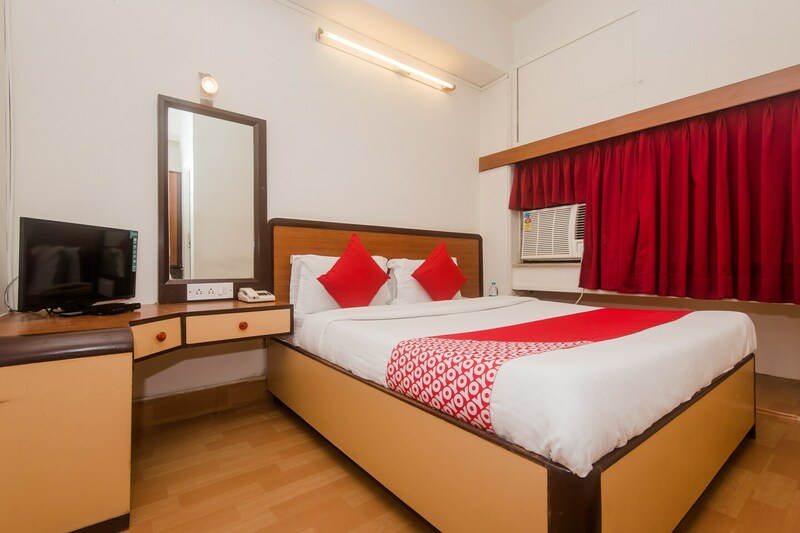 Hotel Palkhee is located close to the Chembur monorail metro station of Mumbai and exudes a classic, old-world charm. The rooms are designed with cream coloured walls and wooden furnishings, including a dresser, plenty of drawers and tables. The bold red curtains act as a statement piece, making the room feel bright and welcoming. The hotel offers a common seating area and parking facilities for guests. Free WiFi connectivity is also provided by the hotel and a CCTV camera setup is in place for added security. The hotel accepts card payment and there are several cafes and restaurants in the close proximity.